Info: Nothing says what you have in your heart quite like this passionate bouquet. 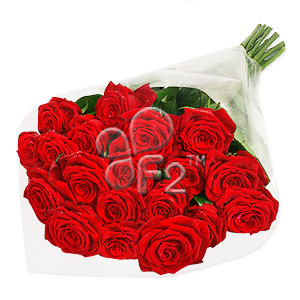 Two dozen long-stemmed roses, with fillers, arranged in a hand bouquet and decorated with a flourish of red ribbons. Do you still need words?